If you were to ask someone to draw a watch, you’d likely come up with similar renderings with circular case and a rectangular band wrapping around. Though the basic outline shape is true for most watches, some stray away from symmetrical design for the watch face. Asymmetrical watches exist in the marketplace as an escape from conformity. 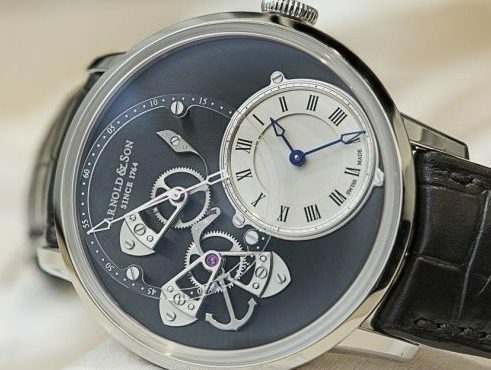 One, like English brand Arnold & Son, used their 250th anniversary to release its limited-edition DTSB, or dial side true beat. The DSTB features an off-centered white lacquer subdial with hours and minutes at 4 o’clock. 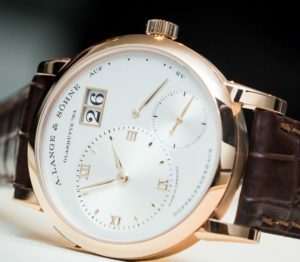 Another asymmetrical watch, the Lange 1 from German brand Lange & Söhne, features a dial comprising of different sections for the hour and minute subdial, the seconds subdial, the power reserve indicator and the oversized pair of date windows. 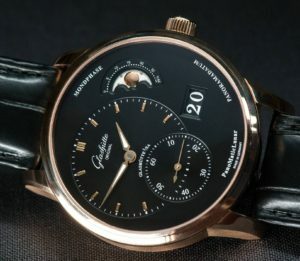 Another German brand, Glashütte, incorporates asymmetrical design in its Original’s Pano collection. With a black face and gold accents, the dial of the PanoMaticLunar watch includes a moonphase indicator, which is shaped to mimic a half moon shape. The lunar display sits alongside a large date window and two overlapping subdials, one each for the hour and minutes and one for the seconds. 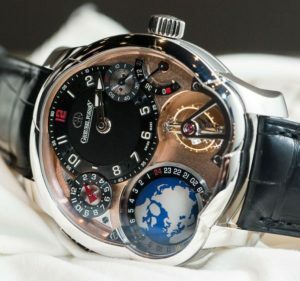 Putting a lot of information in the small area of a watch face, the Greubel Forsey GMT Earth has a lot going on, to say the least. On the dial side, there’s the hour and minutes subdial. Adjacent to that is the power reserve indicator, followed by a tourbillon cage. Also included on the watch face is a three-dimensional globe displaying universal time divided into day and night, and finally the GMT indicator. Flip the watch around and you’ll be met with a world time disk complete with Daylight Saving Time for select time zones next to the other side of the globe. So, do you prefer the traditional watch or one with an asymmetrical design jam-packed with separate dials and universal time? This kind of watch has multiple uses because of its versatility, but aesthetically it looks awkward. I’d rather wear a traditional watch. 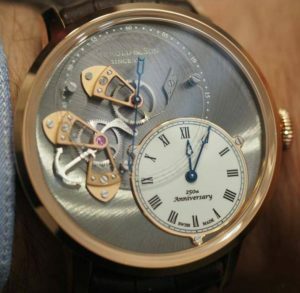 Thank you, Mark, for an interesting blog which opens my mind to know the different concepts in watchmaking. In short, one’s taste is not always the same as others’. Less is more. Now past my 40’s and perfect 20/20 vision a thing of the past, if I need to put on reading glasses just to see what time it is, a watch becomes nothing more than man jewelry. The scattered information on the asymmetricals have never done it for me. Perhaps they are an acquired taste. I enjoy the design innovation of an asymmetrical watch face but when selecting to a ‘tool to tell time’ reading conventional layout saves time and carries the day for me. Thanks Mark, These watches are absolutely amazing. I would love to own every one of them. The mechanisms behind the dial are more than fascinating for sure. But I am sure they are very very expensive. While I would love to own them and take them out once and a while to wear and admire them, I would rather wear a conventional watch like my GMT. My GMT is a nice size, runs perfectly, easy to use, and really built well. I have virtually worn it every day (except for period cleaning/maintenance) for nearly 40 yrs and never regretted buying it. Interesting. Is there such a thing as an asymmetrical pocket watch? Are these watches extremely fragile? Do you repair these watches? I would think keeping such a watch running would be a challenge. I enjoy your blogs Mark, thanks for sharing your knowledge.